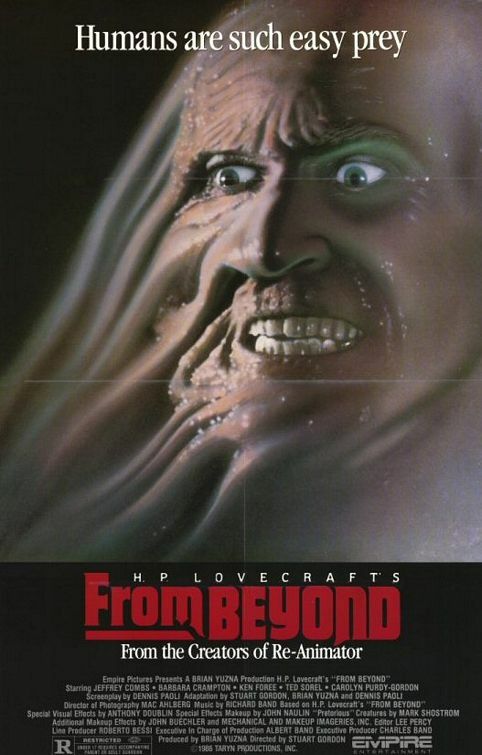 FROM BEYOND: Adapting Lovecraft Is Freakier The Second Time Around – Schlockmania! Before Re-Animator, no one probably would have imagined that you could do a popular, modernized adaptation of H.P. Lovecraft’s work for contemporary audiences – but Stuart Gordon and his talented crew of collaborators pulled that inconceivable feat off. It’s success ensured that some sort of follow-up had to happen so Gordon tackled Lovecraft once more with From Beyond. The results are every bit as morbidly captivating as Re-Animator but show a breadth of artistic skill by attacking the viewer’s psyche in different, more sophisticated ways. 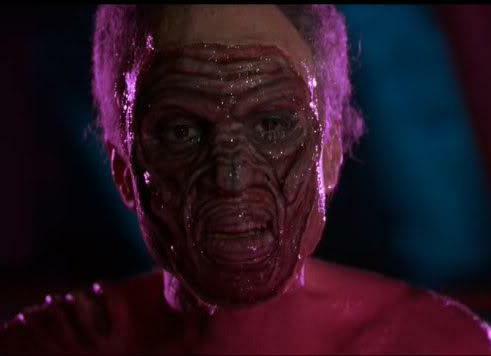 For starters, From Beyond replaces the Grand Guignol of Re-Animator with metaphysical body-horror. When a strange science experiment goes awry and claims the life of obsessed scientist Dr. Pretorius (Ted Sorel), his assistant Crawford Tillinghast (Jeffrey Combs) is blamed and placed in a mental institution. 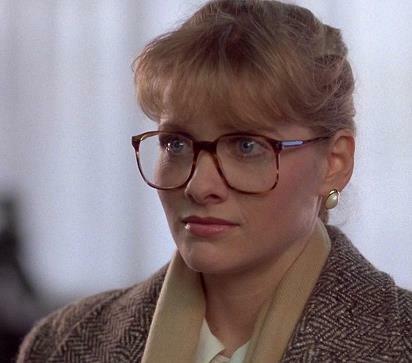 Potential salvation for Crawford arrives in the form of Dr. Kathryn McMichaels(Barbara Crampton), a “girl wonder” psychiatrist who decides that the only way to restore hiss sanity is to recreate the experiment. The cops allow her to do so and she takes Crawford back to the Pretorius home/lab with babysitting cop Bubba Brownlee (Ken Foree) in tow. None of the participants are prepared for what they described. Pretorius didn’t die… he just moved into another dimension. When his experiment is continued, this allows him to reach into the minds and bodies of all involved from the other side, allowing Pretorius to unleash a variety of horrors as he plots his return to this dimension. McMichaels becomes obsessed as the experiments twist her in a psycho-sexual direction while Crawford gets it even worse, with his body mutating into something post-human. It all culminates in an interdimensional battle fought both between and inside the main characters, shown in all its reality-warping horror. The results are effective because they capitalize on the strengths that Gordon and company established in Re-Animator – namely, a daring approach to horror imbued with a savage sense of humor and a high level of intelligence – while also trying a variety of new approaches to achieve that effect. Dennis Paoli’s script approaches the story’s outré concepts in a straightfaced manner that foregoes the black humor of old in favor of a brainy, sexually charged exploration of how the scientific quest to go beyond can lead the searchers in dark directions. He also creates a variety of visual horrors that are shocking without relying on gore – and an array of talented FX technicians like Mark Shostrom and John Buechler bring them to life via a variety of impressive latex and animatronic creations. Their work twists the human body into brain-bending contortions only rivaled by Rob Bottin’s work in the 1982 version of The Thing. Better yet, these effects are done almost entirely via practical means – and the tangible quality they achieve from being done in front of the camera in real time really helps the film’s flights of fancy connect with the viewer. Accordingly, Gordon goes for a stylized approach in his direction that suggests an E.C. Comic (think Weird Science) updated to a neon-tinged ’80s color palette. Cinematographer Mac Ahlberg nails that look, using vivid pinks, purples and blues to retina-dazzling effect, and Richard Band’s jittery strings-plus-electronic score gives it a sound that blends power with minimalism. Just as important is Lee Percy’s rhythmic, propulsive editing style, which gives a flow to the wild visuals and build the breathless momentum this kind of story needs to be effective. Best of all, the cast digs into their roles with gusto and a willingness to go to extremes. Both Combs and Crampton are effectively cast against type: Combs applies his trademark intensity to a more meek, put-upon character to create someone as sympathetic as he is scary while Crampton initially downplays her looks as a repressed brainiac who erupts into tormented sexiness when given the right stimuli. Sorel is suitably intense as the wicked doctor who gets the ball rolling and the always-likeable Foree gives the audience a pillar of sanity to cling to as the most sensible person in the story. Also, keep an eye peeled for Carolyn Purdy-Gordon as an old-fashioned doctor who bristles at McMichael’s techniques – she’s funny in a very tart way. 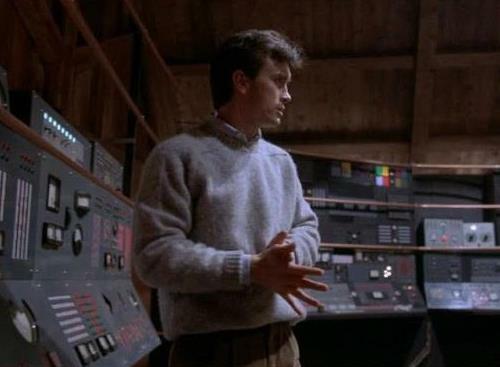 In short, From Beyond is every bit as smart and challenging as Re-Animator but it shows the breadth of the filmmakers’ and cast’s skills by hitting those marks in new, equally dazzling ways. It’s also one of the few films that credibly visualizes the oft-unfilmable horrors of H.P. Lovecraft. File it in your collection of wild, brainy ’80s horror right next to the Cronenberg films.